In Camden, N.Y., about an hour northeast of Syracuse, there’s a three-bedroom, two-bath, 4747 square foot home for sale. The 1880s Queen Anne style property is going for a cool $105,000, which is a steal—as long as the prospective buyer is all right with the fact that the property is almost certainly haunted. Known as the W.H. Dorrance House, the home is listed under the National Register of Historic Places, but is in foreclosure and currently owned by Fannie Mae, which could mean it’s been underpriced to get multiple offers which will drive up the price at auction. Now for the scary stuff. 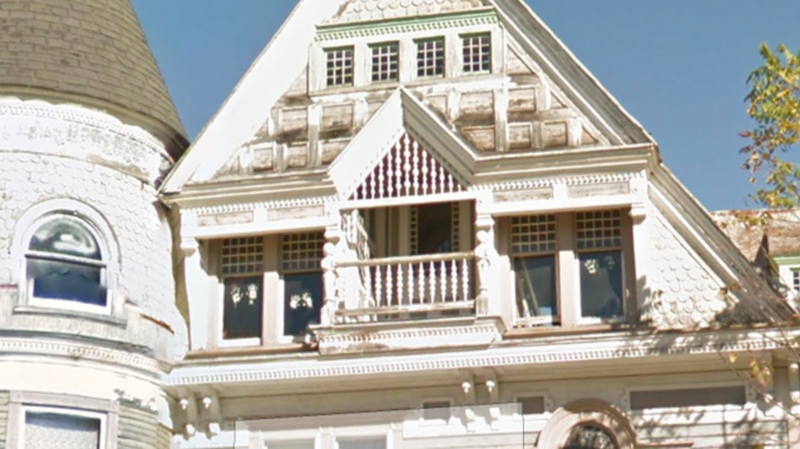 A scan of the home on Google street view reveals a bizarre series of white hand prints on a set of upstairs windows. If those weren’t eerie enough, apparently the most recent owners, who purchased the property for $234,000 a few years ago, left on mysterious terms almost immediately after buying. The house has now been uninhabited and subject to neglect for almost half a decade. Except by those ghosts, of course. Also serving as unimpeachable evidence: The house looks like pretty much every home in every horror movie ever.